Roosebeck Practice Chanter Black Red Cedar + Book & CD Lesson Guide. Roosebeck Practice Chanter Black Red Cedar + Book & CD Lesson Guide. This practice chanter is hand crafted from solid red cedar and painted matte black, and it features a black plastic mouthpiece. It is approximately 19 inches long when assembled, and a practice chanter reed is included. The finger hole spacing is similar to a full drone pipe, with the exception of the lower two holes, which are spaced a little closer. It is tuned to the key of B flat. Played by itself, this is the first step to learning the bagpipes. 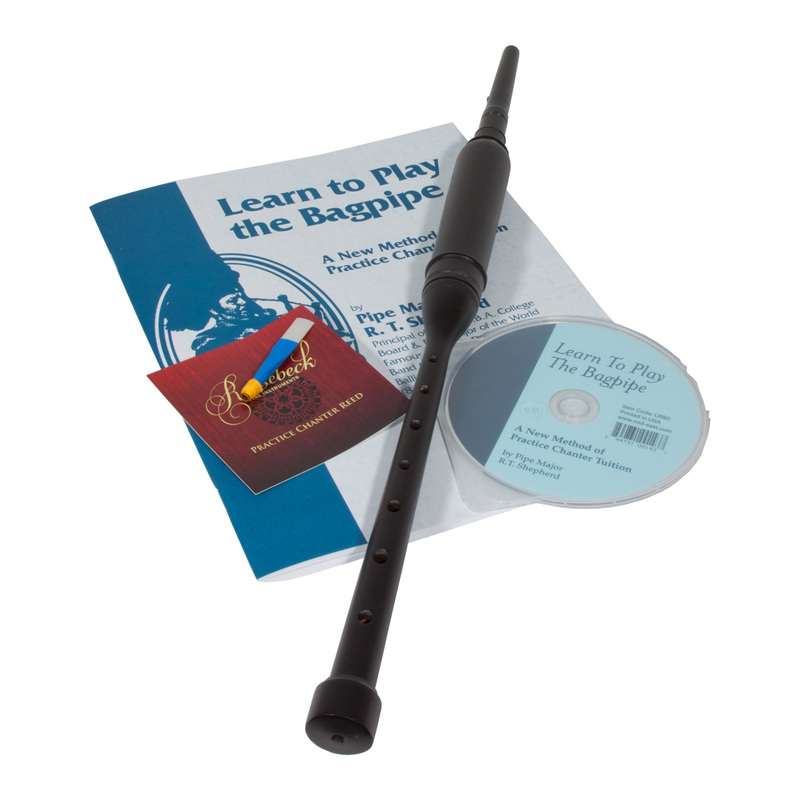 Includes a reed, book and a CD with teaching methods developed by Pipe Major R.T. Shepherd. The book includes photographs of finger positions, exercises, melodies more. The audio CD tutorial can be used alone or to accompany the book.